In the modern digital age, technology has been evolving at a pace faster than we can consume. Innovations to better workflows to deliver accurate results with short turnaround times are the new norm. Scrum is one of these innovations which industries are putting an unprecedented value on. A couple of years back, scrum practitioners were pulling salaries which were higher than their counterparts did in IT. The sector has more than caught up, with certifications available which give an enormous lift to your capabilities and value. Scrum Alliance, a well-known name in these circles carried out a survey regarding the adoption of scrum methodologies last year which yielded quite a few interesting results. Based on this survey it was discovered that nearly 94% of the respondents leverage Scrum methodology in their everyday workflows which are a staggering number in itself. 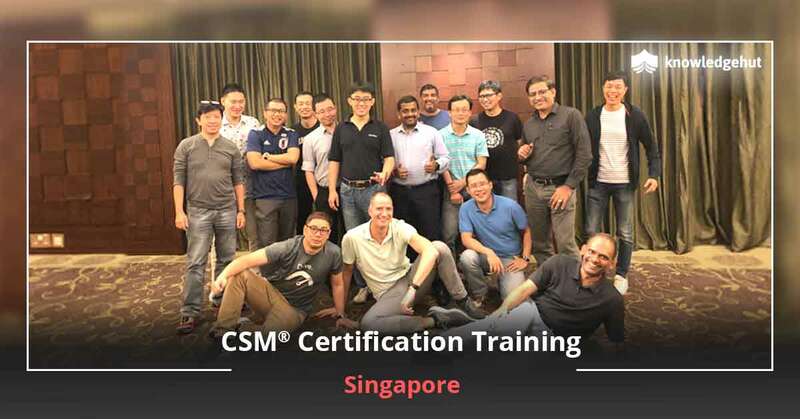 The CSM certification in Cochin provides a complete understanding of the certification and imparts effective coaching to aid them in their journey to become certified scrum masters. The world of business is forever changing, with evolving demands from both employees and consumers. The true power of Scrum lies in its ability to empower employees to be self-sufficient in their activities and take up important responsibilities to boost client loyalty and customer satisfaction. 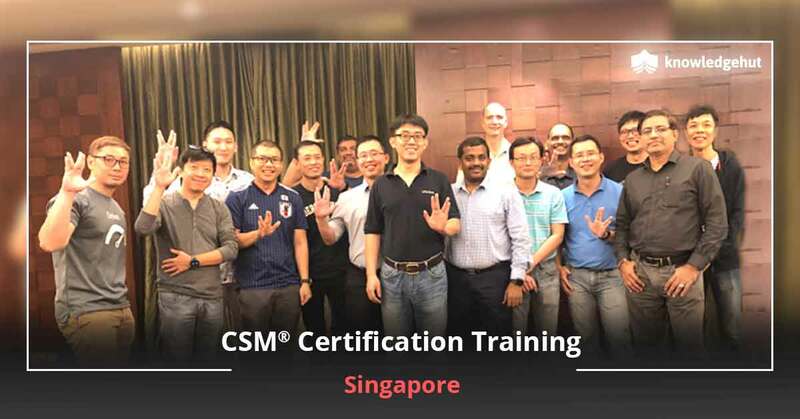 The CSM certification cost in Cochin is designed in a way that professionals can take advantage of the course quite easily to add value to their careers and organisations. Professional credibility- The Scrum Master certification in Cochin will enable you to learn the intricacies of the environment and also operate in non-IT industries. Personal satisfaction- Consider yourself an expert in a niche space with skill-sets which are good enough for the next few years at least. Salary- According to a PayScale report, the average salary of a certified Scrum master can be nearly $115k per year. Job search- The certification awards you with a few extra notches on your lapel as your profile will stand a cut above the rest. 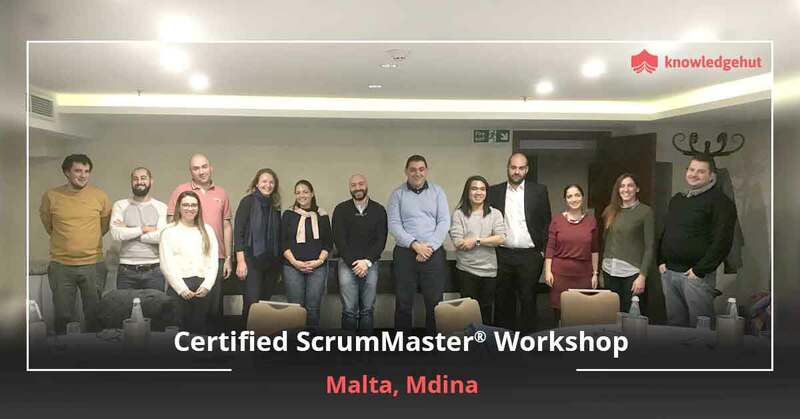 Professional growth- Being a certified scrum master means you hold knowledge which can be imparted to other sections of the organisation in its journey towards an agile work environment. Job essentials- In a world where innovations are a dime a dozen, our certification injects flexibility into an organisation and enables you to be an expert in the field. Filling skills gaps- With the CSM training in Cochin you will be able to identify deficiencies in skill-sets across the organisation quite easily and make changes as and when required. Peer engagement- Help your team get on the same page to ensure structured flow of work and better results for the customer. Stay relevant: Scrum methodology is almost a necessity in the shifting dynamics of today’s IT industry. A Scrum Master Certification means that your practices and methods are still in tune with the expected standards. 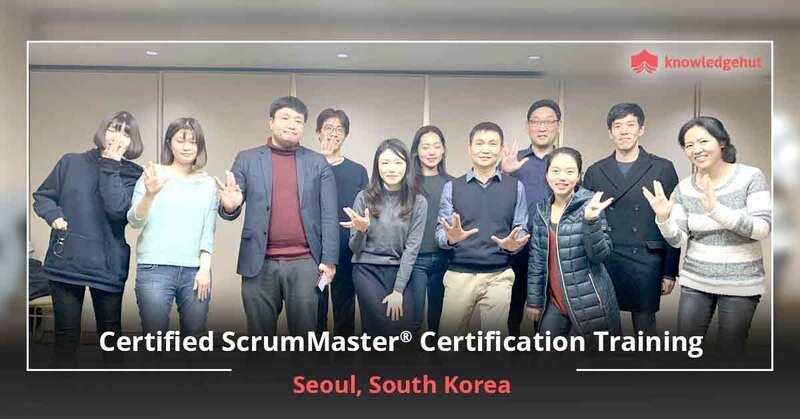 Certified ScrumMaster® is a designation given to a Scrum professional by the Scrum Alliance to lead and deliver projects on time. A Scrum Master ensures that the team is implementing the Scrum practices in an accurate manner. Also, the Scrum Master is a servant leader encouraging the team to succeed with the Scrum framework. Will new job placement opportunities be available to me in Cochin after ScrumMaster training? Companies and organisations have started embracing and benefitting after adopting the Agile methodology. This has led to an increase in demand for Scrum Masters with plenty of new job opportunities. Nowadays, Scrum has become the topmost choice of the organizations to deliver more value to the customer. In State of Scrum 2018 survey, 85 percent of the respondents say Scrum continues to improve the quality of work life. EQS Web Technologies Private Limited- a provider of software and services for digital investor relations, corporate communications, and compliance in various countries. Focaloid Technologies Private Limited- a digital solutions company that focuses on developing reliable, innovative, and economical technology solutions. UST Global- an American multinational provider of Digital, IT services and solutions. Ernst & Young- a multinational professional services firm. What are the prerequisites to attend the CSM certification training in Cochin? Interested professionals can attend the CSM certification course. A course completion degree by our Certified Scrum Trainer will make you eligible for the online CSM test. Who should take this Scrum Alliance CSM training course in Cochin? Who are the instructors/trainers for your CSM certification training in Cochin? Our exclusive team of CSTs imparts training in a manner which meet the standards set out by the Scrum Alliance. With that being the case, each and every candidate receives the same high-quality content regardless of the trainer or the location. Further, they aid you to develop the knowledge and efficiency that you will need to make a difference in your organization. Where will the Certified Scrum Master workshop be held in Cochin? Banquet Hall at Travancore Court- Warriam Road, Near Lotus Club, Ernakulam South, Ernakulam, Kerala 682016. Inner Circle at Hotel Abad Plaza- Moulana Azad Rd, Panayappilly, Chullickal, Fort Kochi, Kochi, Kerala 682005. Small Conference Hall at Mermaid Hotel- Mermaid Complex, Kaniyampuzha Road, Near Vyttila Mobility Hub, Vyttila, Kochi, Kerala 682019. Decide on your preferred location quickly as the decision depends on the preference made by you. Be quick to find a convenient location! Is your 2 days of training at Cochin sufficient to clear the Scrum Master certification exam? It is recommended that before attending the Certified Scrum Master course, you should know the basics of Scrum. You can brush up your knowledge with the information available on the Scrum Alliance website. This makes you easier to clear the Scrum Master Certification exam. How much does the Certified Scrum Master certification exam cost in Cochin? The Scrum Alliance CSM certification exam fee is included in the CSM training cost. Who offers the CSM certification in Cochin? Scrum Alliance, the CSM accreditation body, will designate you as a Certified ScrumMaster. What is the average salary of a Certified ScrumMaster® Professional in Cochin? According to Payscale salary report, the average pay of a Certified ScrumMaster in Cochin is Rs. 367,347. Experience strongly influences the salary of the Certified ScrumMaster in organizations. Also, in-depth knowledge of Agile, Agile Software Development, ScrumMaster, Project Management, Scrum, Business Analysis is associated with the high-pay of this job. I attended the CSM training by Knowledge hut and it was really helpful. The true meaning of agile was demonstrated through active working sessions and it helped me put it into practice at work. Also our trainer very clearly made us understand that trying to customize agile to fit into your current waterfall model at work will NEVER work and he made us do exercises which really made things very clear. Overall, I'm very impressed and would recommend it to everyone who is moving to agile. Certified ScrumMaster training in Cochin provided by KnowledgeHut is the most trustworthy and genuine teaching class with 100% success rate for students. You can fix your own schedule for the CSM training in Cochin by sparing only 2 days from your busy life and be a master of scrum. We provide highly qualified trainers at your service who will cover your knowledge gaps and fill you with scrum knowledge and confidence to aim for and pass the exam for the CSM certification in Cochin. Don’t lose this opportunity and register with us immediately and get your license to practice scrum. Scrum focuses on united group efforts and daily communication to gain more outcomes. If you compete to win projects then a team of scrum experts in your organization would be an added advantage and reflect your company’s commitment to ongoing excellence. Each and every firm is looking for a scrum expert, which means they are looking for you. All you need to do is go through the available Certified ScrumMaster courses in Cochin and pass that paper with good marks. 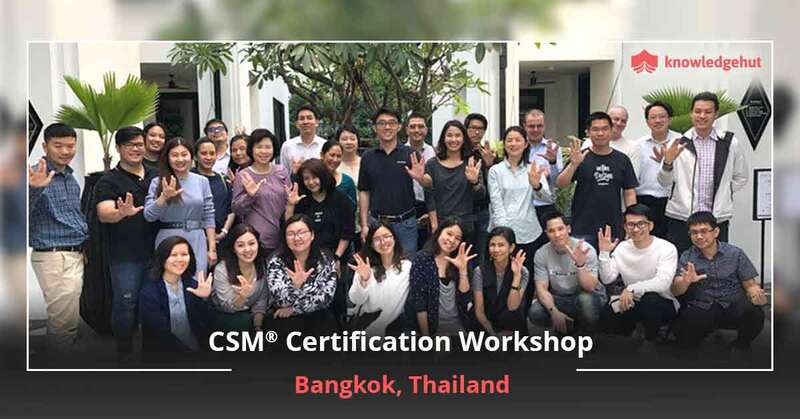 The CSM course in Cochin will not only help you get the official designation of Certified ScrumMaster&reg (CSM) from Scrum Alliance but also get you added advantages such as a two-year membership with Scrum Alliance. Scrum ensures that you deliver a quality product in scheduled time and issues are identified in advance which helps in early risk mitigation. Once you become the master you can lead your team and teach them the art of scrum and bring more success to your organization. Remember that we are a global registered education partner of Scrum Alliance and your CSM certification cost in Cochin is covered in your workshop fee only for the first two attempts. 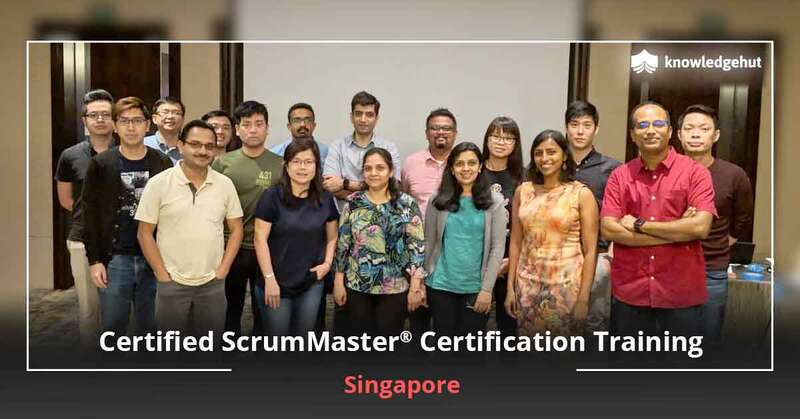 If you have to give the exam a third time you have to pay an additional Certified Scrum Master certification cost in Cochin. Join KnowledgeHut’s workshop centre today and get the benefits of a program that has empowered numerous professionals.